It is a clever bit of kit. 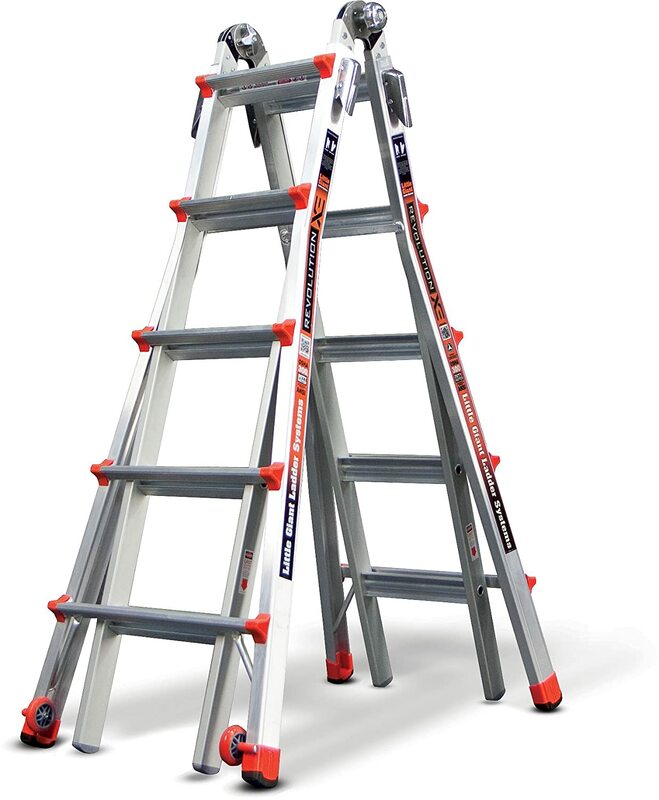 It can easily be turned into a long straight ladder and the height of each side can be adjusted independently. Extending one side more than the other, it fits perfectly on the stairs and allows us to reach the top corners. It is relatively lightweight but feels very solid and has some clever features, like secure but easily adjustable locks and even wheels to help move it around. There is only one problem now that this new ‘toy’ has arrived; I’ve got no excuse for not getting on with the work!